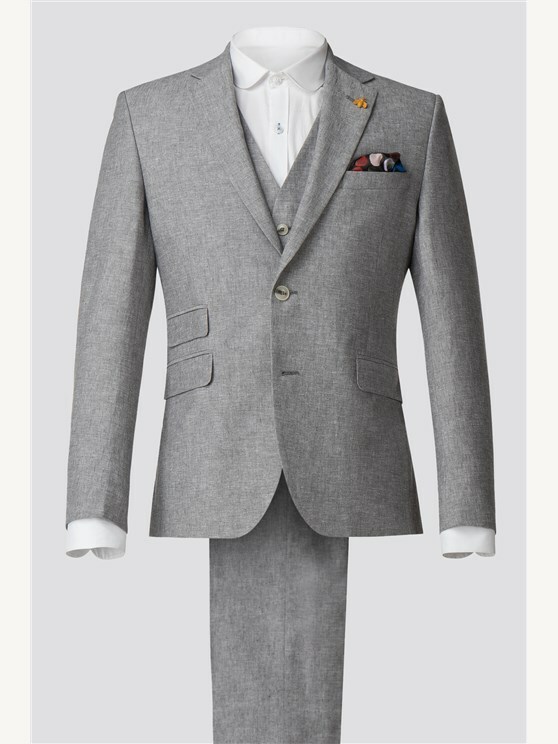 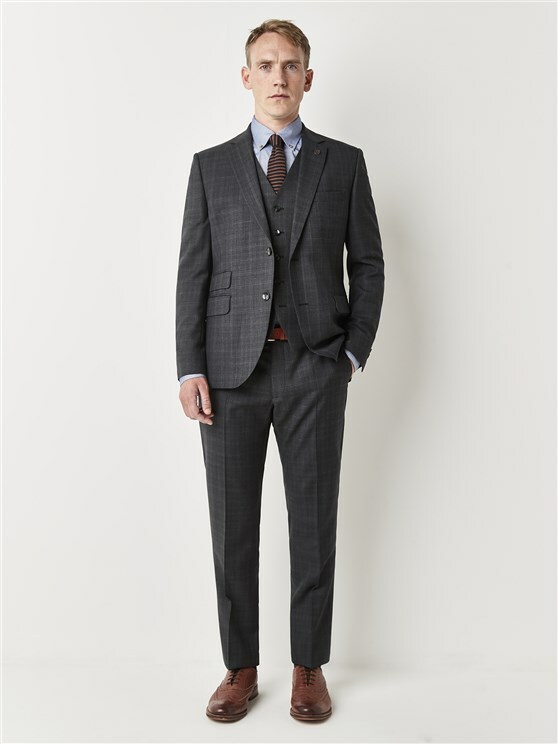 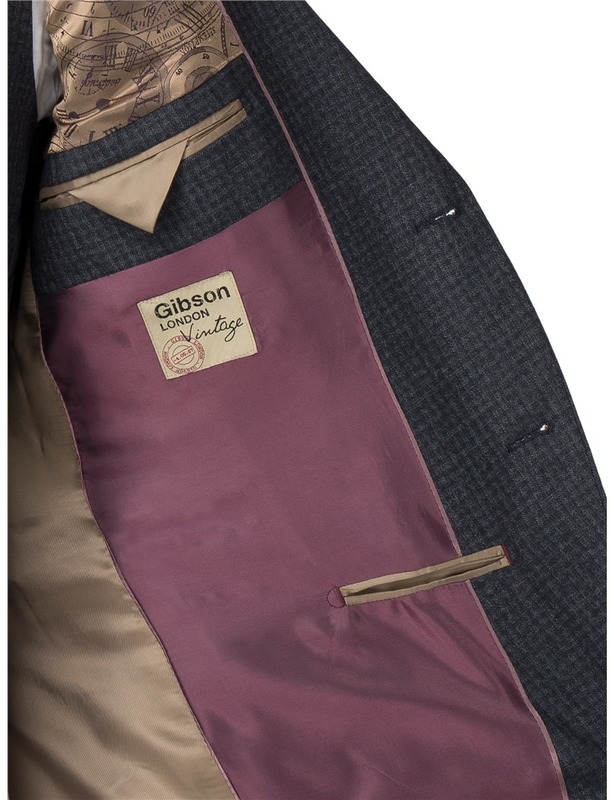 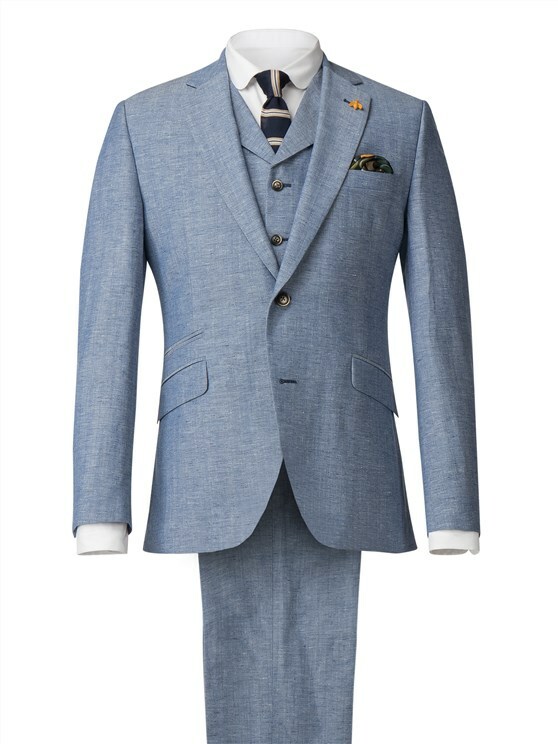 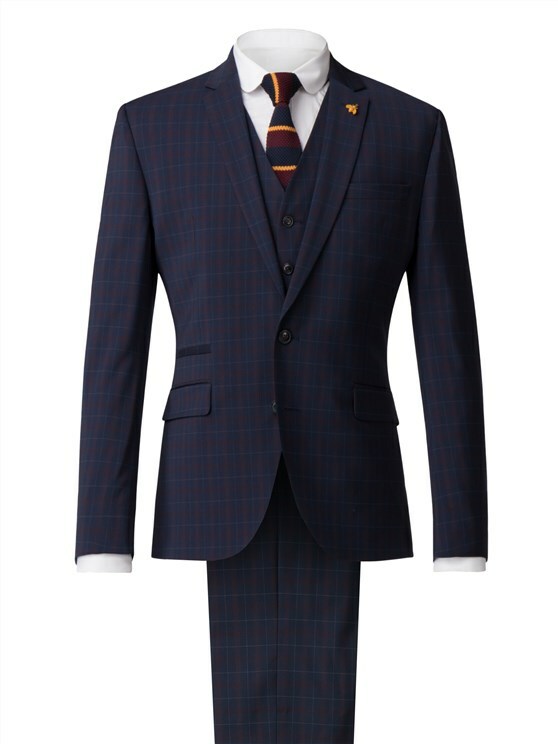 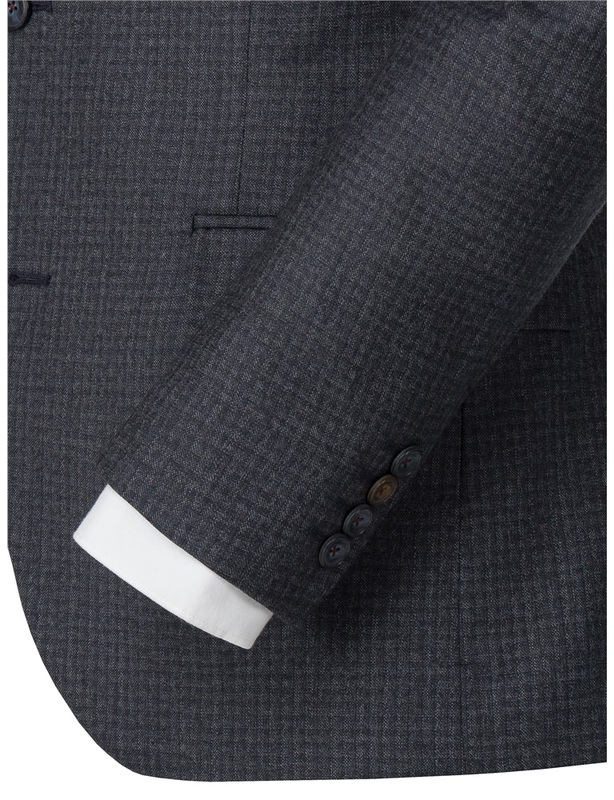 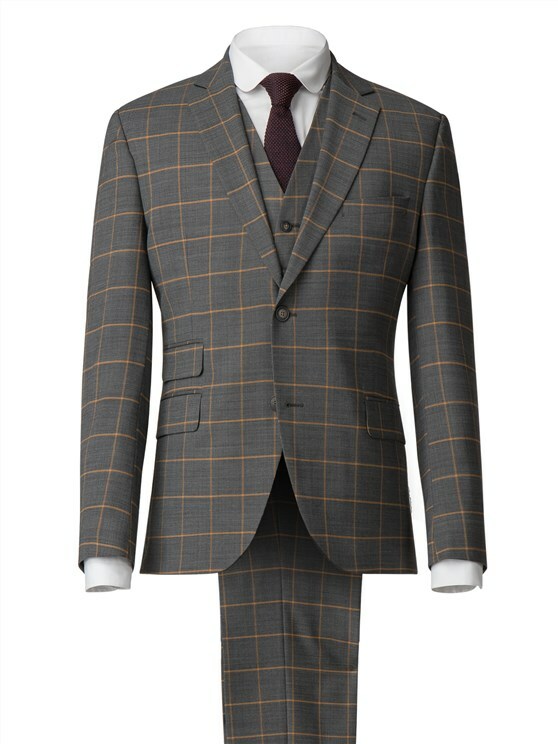 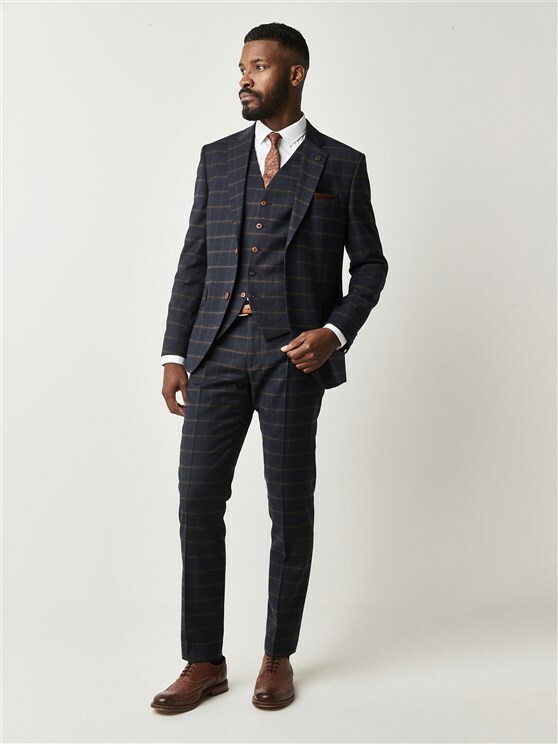 This Gibson London suit jacket is made from a wool mix fabric with a brushed finish for a soft feel. 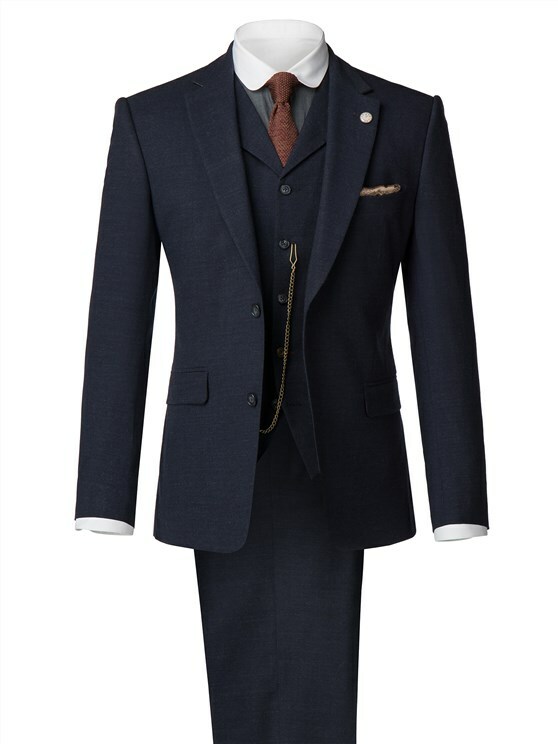 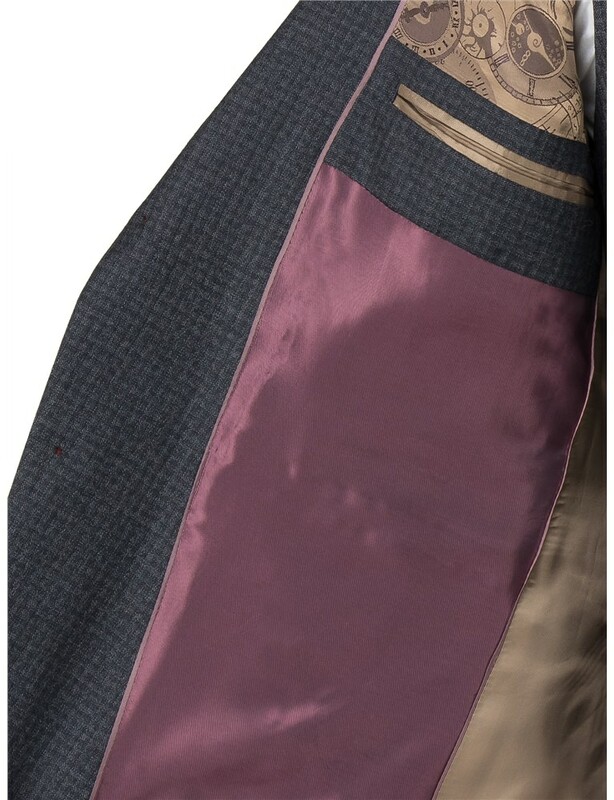 The jacket features contrast buttons and coloured bar tack details on the cuffs, a contrast coloured cloth is used for the outside ticket pocket. 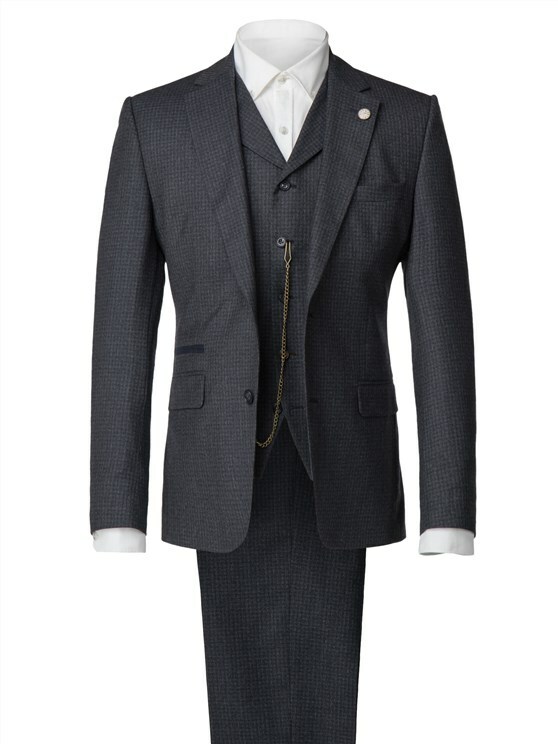 The jacket is lined in the signiture clock lining and in the lapel is the removable clock face pin badge. 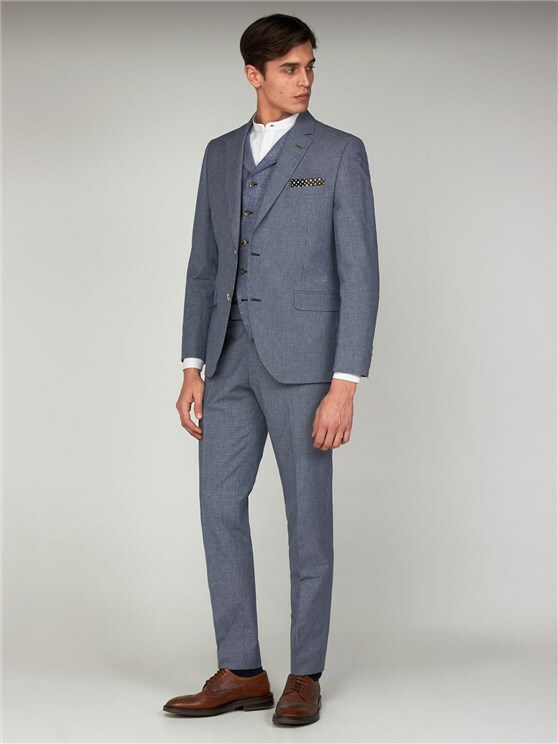 Pair with the matching trousers and waistcoat to complete the look.